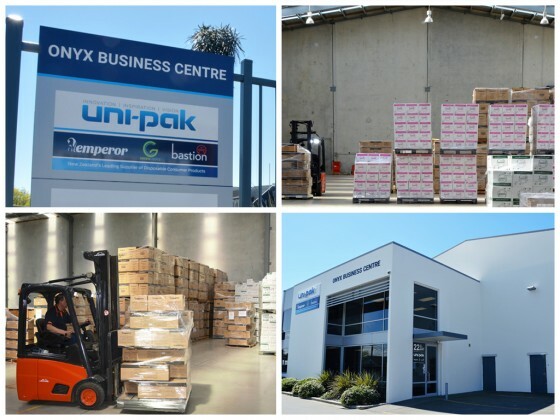 We are pleased to announce that we can now service our South Island customers from our own Christchurch office and warehouse located in Addington. After an extensive search, and thorough business analysis, we have managed to secure a modern building in a prime location. The building has a great tea room and presentation space, ideal for any customers wishing to attend product training sessions. Warehouse lighting and access is great, with plenty of room to grow our business. The roof even has photovoltaic panels fitted so we can create our own electricity and reduce our emissions. Our Warehouse Manager, Paul Marshall, is an experienced stock manager with a keen eye for detail. Paul manages the delivery of cartons via couriers and freight haulage companies, and fulfills any pick-up orders. The warehouse is now stocked with the most popular items, with additional stock items arriving each week. Customers may pick-up during office hours, however it is best to call 0800 864 725 beforehand just to check we can complete your order. Based in our upstairs offices, our South Island Territory Manager, Amy Castelow, is the first point of contact for South Island customers with any product or sales-related enquiries. Amy has earned a great reputation as a customer-focussed sales professional and is responsible for managing most South Island accounts. Amy can be contacted via email: amy@unipak.co.nz. Please note that all South Island phone enquiries go through 0800 864 725 to our Call Centre.